The great growth of the interest and practice of Sport and motor skills in general has definitively confirmed Sport among modern social mass phenomena and as one of the great accelerators of the evolution of society as a whole. But here, as part of a School of Economics, it should be highlighted that sport, in our eyes, has also become a great industry, one of the most interesting sectors of the national economy, in Italy with over 93 millions euros ( http://www.aics.it/?p=70037 quote) in turnover and, at the turning point of the century, an important reservoir of youth intellectual occupation. Over 20 years ago the European School of Economics, precisely in the Sports sector, gave birth to a wonderful project: the establishment of a faculty of Economics and Management of sport, for the first time in Europe. Its mission was the preparation of a new generation of business economists and managers of international stature able to face and overcome the great challenges of the modern sports industry. In particular, within the four-year degree course, a program called “Champions’ Program ”was created, of which we are particularly proud. The objective is to closely assist the great sports champions, with the help of specialized tutors, and to allow those engaged in sports competition at the highest international levels to successfully pursue university studies and graduate. It is thanks to this special attention that ESE has been able to demonstrate that it is possible to harmonize the seemingly insurmountable antagonism between sports professionalism and study and that is why ESE counts among its students a higher percentage of champions of the world than any other university in the world. They found in the academic programs and in the philosophy of the ESE the same values ​​that accompanied them in the competitive career: attention to the individual, the centrality given to his intellectual and moral preparation, the search for excellence and an effort constantly aimed towards exceeding one’s limits. It is with gratitude addressed to the teachers and staff of ESE that we underline the great value of this project of transforming great champions into sports economists capable of managing and directing companies and projects in one of the most interesting sectors of the national economy, bringing all the their experience, all the strength and value of their sporting commitment. 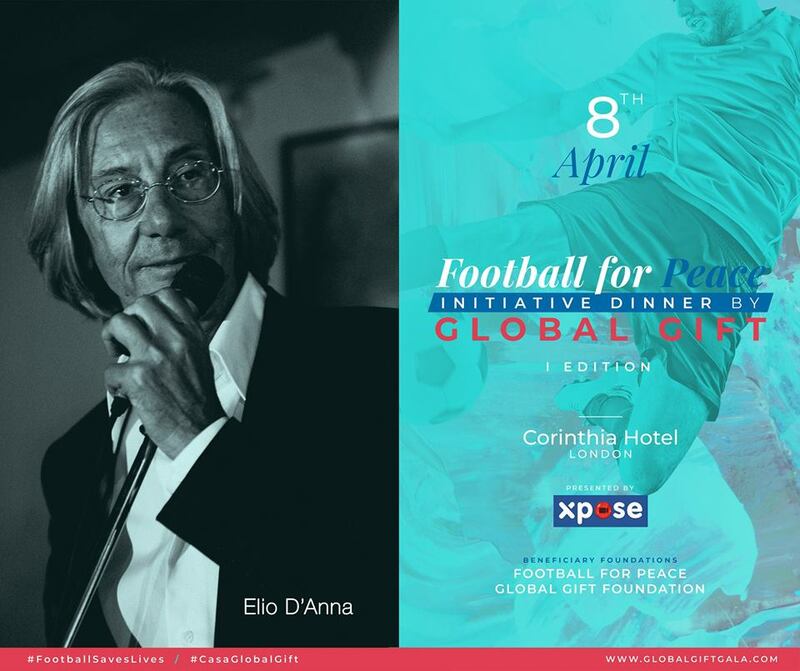 Introducing this work here at the Football for Peace Charity Dinner, we must remember that, among the planetary emergencies, the phenomenon of crime, especially in urban areas, the so-called welfare crime, is certainly one of the most serious and most difficult problems to face. It is the belief of ESE that Sports, for its educational centrality, for its pre-eminent position in human education, for its formidable ability to be the bearer of socially important values, can be one of the most important instruments of intervention in the face this phenomenon in its true roots. Crime is the product of a lowering of values, of a lowering of the level of being. With this understanding, classical Greece faced the serious problems of civil coexistence and the functioning of its institutions by raising spirits, and the attempt to maintain man’s level of being through poetry and art was constant in that civilization through the mediums of music, sport, theater, and through the search for the true, the beautiful, the good. We are convinced that Sport still represents above all else a great educational phenomenon and a central element of the society’s evolution; as such, it must play a fundamental role in dealing with the moral degradation that is at the root of crime, especially in cities, further broadening its educational reach. Socrates loved the city and to those who accused him of never going to the countryside he said: what is interesting about trees? He was interested in men, their possible evolution in consciousness. I believe that this is still very true and that it is fascinating to be able to recognize in everyone that we always meet a reflection of ourselves and to seize in each one the concrete opportunity to complete and improve ourselves. I believe that this immense mirror that surrounds us and that reflects us, the world, is for this reason a field of research and an inexhaustible source of interest for the knowledge of ourselves. If there is still crime in our societies it is because it is still in us. There is in us a part that is not yet transcended, yet criminal, which is reflected in the world and returns to us as a boomerang. This is why ESE believes in a revolution that can only happen in the individual, and that it is possible to improve the world by improving, each and every one of its cells. The European School of Economics has a dream. That of being of inspiration to young people and preparing them to occupy positions of responsibility to help make Sports a planetary school of truth, sincerity, beauty. In particular, making sports in the cities a great instrument of moral elevation, the bearer of those great values ​​of loyalty, honesty and fairness that alone can truly combat this which is among the most serious phenomena of our time. It is no coincidence that a civilization like the Greek one, that had to maintain its independence through sheer strength and needed great warriors concentrated its efforts on fueling the spirit of freedom and pride, and the courage of its men by putting Sport at the center of society. When the Latin translation of the little book attributed to Plutarco “How to educate the children” appeared in 1411, the dogmatic obscurantism of medieval religious schools and ecclesiastical preceptors suddenly found itself confronted with the educational model projected by the Greek spirit. It was like compressing a thousand four hundred years of time and painfully discovering how much our culture had gone back. That lesson of classicism, coming from our roots, is not obsolete and we can still take advantage of it understanding the need to educate a new man, with a more mature psychology, free from conflict, from crime, from the spirit of blind capitalism and material gain on which we have based our economy for centuries. The great challenges ahead, which face us as individuals, as nations, as civilizations, will be won by preparing free, courageous, loyal, sincere men, men capable of harmonizing the apparent antagonisms of all time: Economy and Ethics, Action and Contemplation, Financial Power and Love. In the journey that man is facing to find himself again, Sports, and Football will be among the great disciplines that will accompany him and help him to find the path again, in the inexhaustible search for his lost paradise.